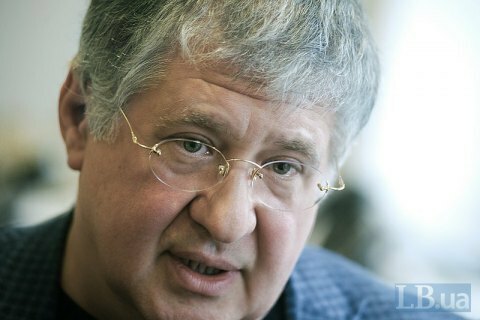 The tycoon comments the nationalization of Privatbank. Businessman Ihor Kolomoyskyy in an exclusive comment to LB.ua on 14 November responded to the allegations of the ex-governor of the Odessa region Mikheil Saakavishili about a secret memorandum that the Ukrainian government has allegedly signed with the IMF regarding the nationalization of Privatbank. Kolomoyskyy denied any knowledge of secret agreements with the IMF "that's why agreements are called 'secret'", but was fairly sceptical of such a possibility. He brushed aside Saakashvili's allegations as ravings of a madman. "If this astronaut believes that in today's world someone can clandestinely spirit away billions – he must've come not from Georgia but from outer space. Let him better expand on his achievements after 18 months in charge of Odessa," said Kolomoyskyy. In an interview to the Left Bank with Sonya Koshkina last week, Saakashvili said that under a secret agreement with the IMF the Ukrainian government should nationalize Kolomoyskyy's Privatbank, for which purpose 7.6% of the nation's GDP are earmarked in the budget. Such a policy, according to Saakashvili, is necessary because the bank has massively withdrawn assets to offshores, leaving the deposits of the population not covered by reserves.